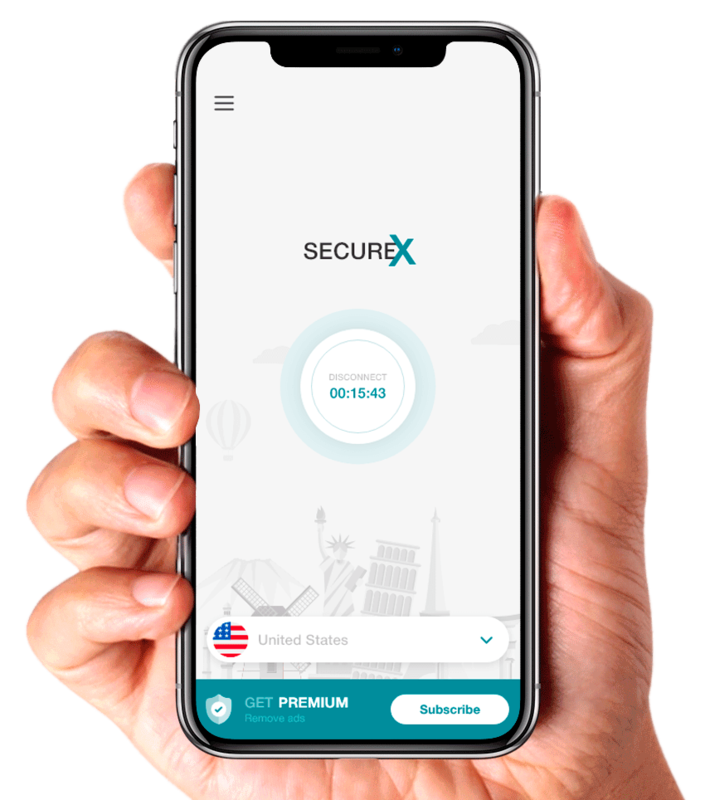 SecureX VPN protects your identity and encrypts your data at home, work or in public. Get to your content through our ridiculously fast vpn-connection. SecureX VPN doesn’t track or keep any logs of its users and their activities. Our VPN is designed with you in mind. Our VPN determines the best possible protocol and server for optimized performance. You won’t even notice it running behind the scenes. SecureX VPN makes VPN use for my iPhone a breeze. I definitely recommend! SecureX VPN helped me so much. Without SecureX VPN, I would have missed out on the entire NBA season. Thank you guys for helping me watch on my iPad! Have you seen a VPN that is easier to use? I literally only had to click a few buttons on my iPhone. Access the Internet securely through SecureX VPN.